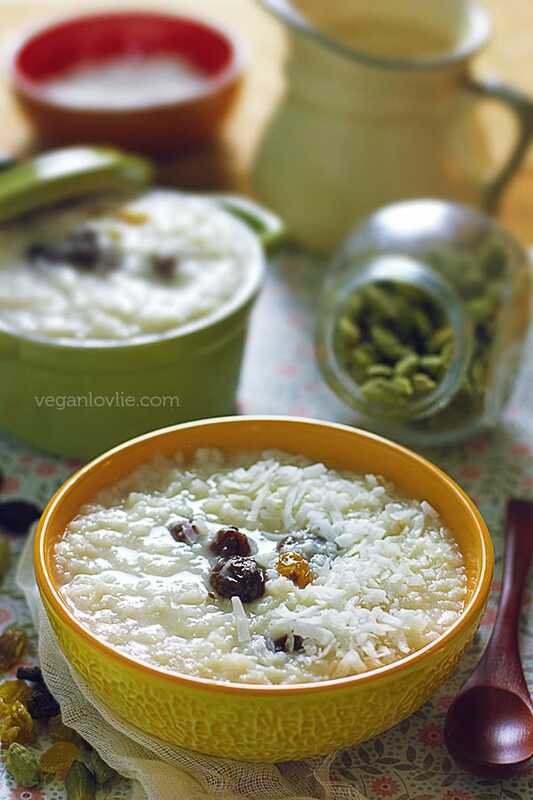 A simple rice pudding recipe also known as rice kheer. This pudding can be enjoyed warm or chilled as breakfast, a snack at any time of the day or as a dessert. Vegan breakfast, vegan dessert recipe. Though puddings can either denote a sweet or savoury dish, the pudding very often evokes the thick creamy milk-based ones that are cooked on stove top. Sweet, gooey and cozy, that’s how I like to think of a pudding. Rice pudding instantly comes to mind, the type that I used to relish on when I was a kid. Rice puddings exist around the world with each culture presenting the dish in slightly different flavours and variation in the type of rice used. 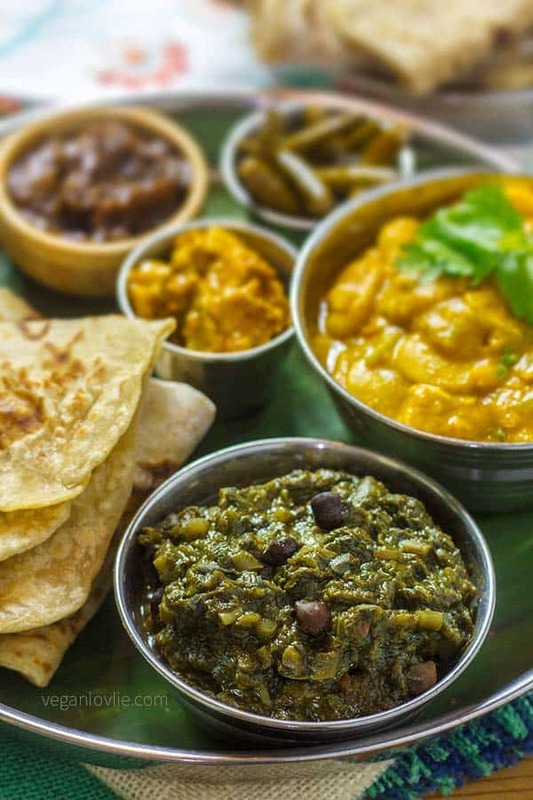 The Mauritian version is inherited from the Indian one which is commonly known as kheer, often prepared for religious ceremonies, special occasions or festivals in Mauritius. Basmatic rice is simmered with milk for about 20 – 25 minutes, depending on the rice, to yield a hearty creamy pudding that can be served warm or chilled. Breakfast time is when I most often enjoy this pudding nowadays, but it can also be served as an afternoon snack or dessert. Aromatics like lemongrass add a little twist to the traditional cardamom-spiced recipe with a complex yet subtle sweet underlying citrus note. Watch the video for the easy process in action. Make a slit in the lemongrass but leave all the leaf layers attached (we don’t want them to separate in the rice, it will be difficult to remove all of them afterward). In a large saucepan on low-medium heat, place the coconut milk, lemongrass stalk and cardamom pod. Bring to a gentle rolling boil. Meanwhile, rinse the rice and drain a couple of times. Once milk reaches a rolling boil, add in the rice and stir. Cover and cook on low-medium heat for about 10 minutes. Occasionally, stir the rice and make sure it is not sticking to the bottom of the pot. Add more milk or water as needed to continue cooking the rice for another 7 – 12 minutes to the desired creaminess. Add the maple syrup or sweetener of choice and the raisins. Cook for a few more minutes, then turn off the heat. Garnish with coconut flakes or nuts. 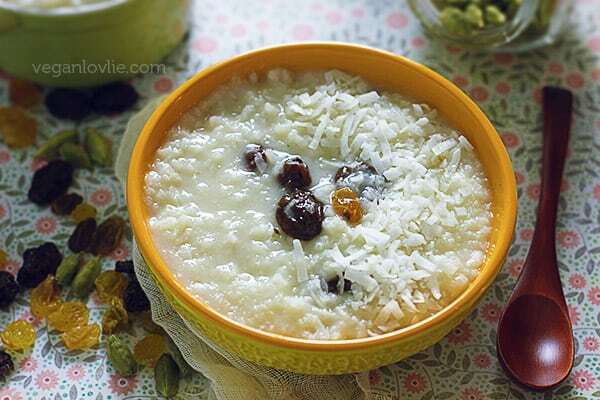 A simple rice pudding recipe also known as rice kheer. This pudding can be enjoyed warm or chilled as breakfast, a snack at any time of the day or as a dessert. Add more milk or water as needed to continue cooking the rice for another 7 - 12 minutes to the desired creaminess. 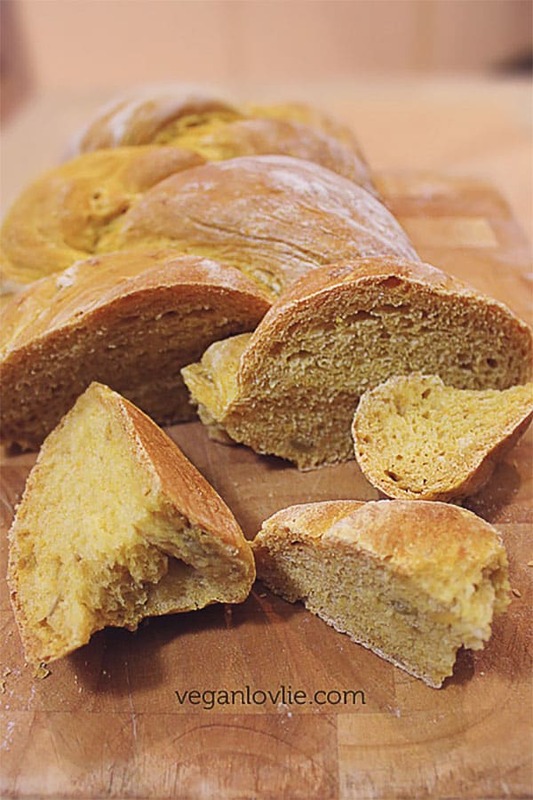 Hi, Would this recipe work in a pressure cooker, like the Instant Pot? 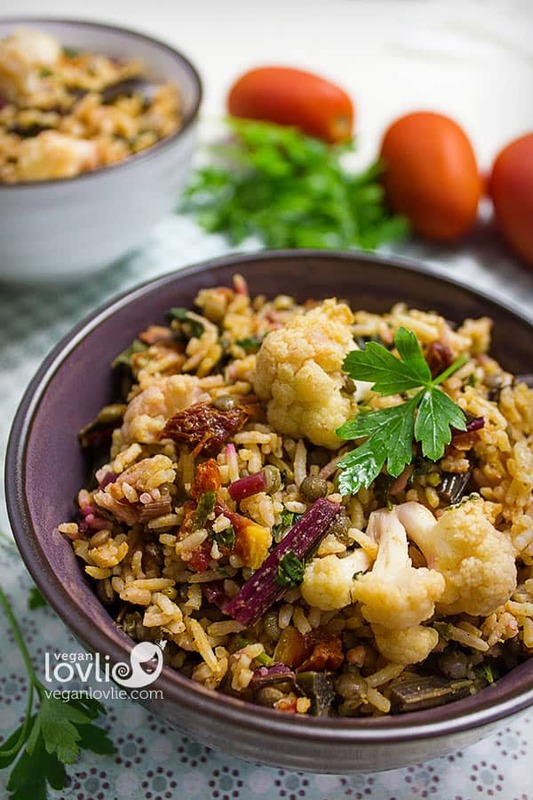 And could one substitute a mix of red and brown jasmine rice? Thank you. Sorry for my late reply. I’m not sure whether this would work in a pressure cooker. Rice pudding becomes creamy with the slow simmering as the rice disintegrates into the coconut milk. 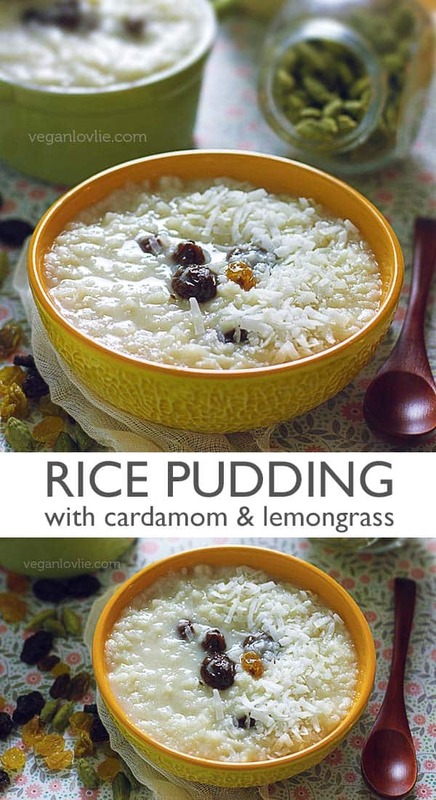 As for the rice, you can substitute it although brown rice will result in a less creamy pudding. I hope this helps.